The only CRO specialized in full human immune system mouse disease models for Cancer, Infectious, Inflammation and Vaccines. 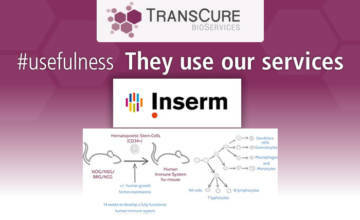 TransCure bioServices is a CRO providing in vivo pharmacology preclinical services with unique Research & Development (R&D) and fee-for-service platforms, called the Full Human Immune System Mouse (hu-mouse) Models. 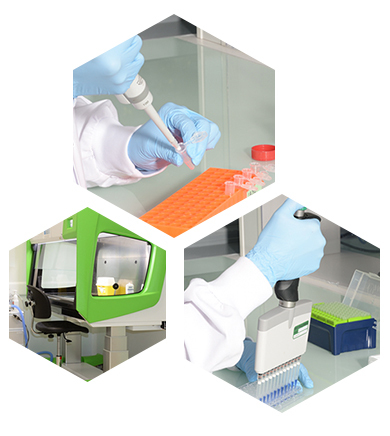 Customers access these full services (protocol design, raw data collection, analysis, reports) in our BSL-2 and BSL-3 animal and laboratory technology (flow cytometry, cell biology) facilities on a very attractive fee-for-service basis. Highest needs for large pharmaceutical and biotechnology companies as well as academic laboratories which can profile new preclinical/clinical drug candidates (small molecules, peptides, biologics, mAb, vaccines) targeting immuno-related diseases such as inflammation, cancer, or infectious diseases. TransCure bioServices is your one stop shop for in vivo pharmacology preclinical expertise. Our expertise is focus on: Cancer/Immuno-oncology, HIV, Inflammatory Bowel Diseases and Vaccines/Immunization. TransCure bioServices offers a unique service! We are proactive and your trustworthy partner! 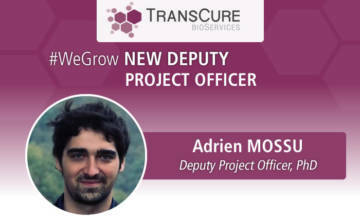 TransCure bioServices provides state-of-the-art disease models for cancer, PDX, inflammation, infectious and vaccine indications, develops regularly new models, has a high specialization, creates a unique relationship with its customers, delivers speedy results without overlooking the quality and offers those all advantages at a highly competitive FTE rate. We are a flexible team and data driven. 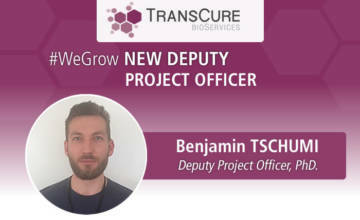 TransCure is a specialized company with a human scale service platform. The highest quality of our relationship with our customers is a key ingredient and an indisputable advantage to offer you our services which are always adapted to your needs. We make our client our first choice! You remain the Sponsor of course. We apply the strictest regulation in compliance with the national laws of EUROPE, and France in particular, guidelines and regulations to underpin our own global bioethical chart: 3Rs commitment & highest standards of care and ethics. We have started in 2018 the AAALAC accreditation/validation process and have successfully been audited by several large pharma and biotechnology companies since company inception. > Find out more information about the Full Human Immune System Mouse Model. 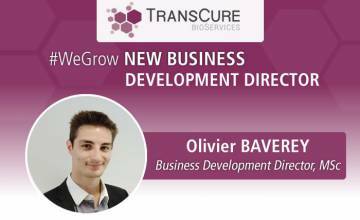 TransCure bioServices is a dynamic CRO which regularly creates new DATA and models. 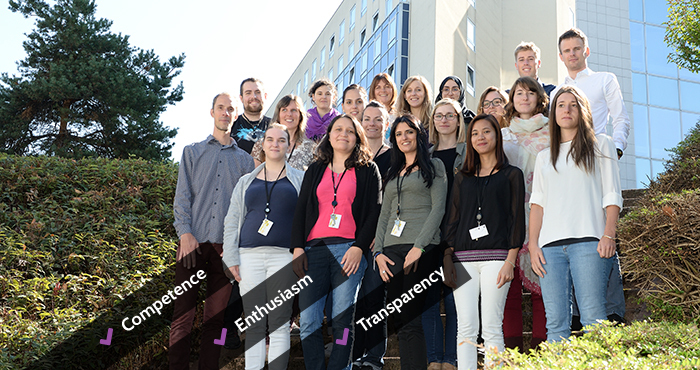 Find out our news and discover more about our recognized expertise for in vivo pharmacology. Targovax demonstrates the “Synergistic effect of oncolytic virus combined with anti-PD-1 against Melanoma”. TransCure’s hu-mouse are the preferred in vivo models for combination therapy evaluation. 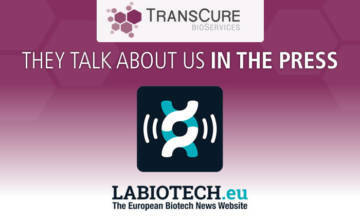 Find more about how TransCure improves Inflammatory Bowel Diseases research with its humanized mouse model. TransCure is proud to serve researchers in the field by providing suitable HIV mouse disease models.